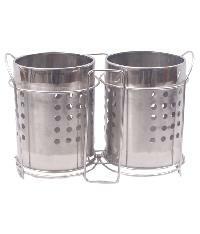 Features : High Quality Food Grade Plastic & Stainless Steel. 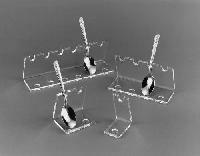 We offer s.s. Glass & spoon stand (deluxe), kitchenwaresa etc. 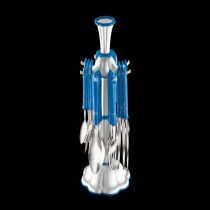 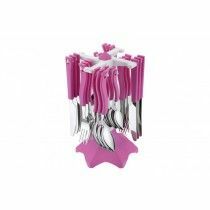 SuperDeals Cutlery Set and Spoon Stand straight form the house of super deals Functions : Cutlery Set and Spoon Stand We are offering Cutlery Set and Deluxe Model plastic warning material abs material and 100% stainless steel base spoon with plastic handle. 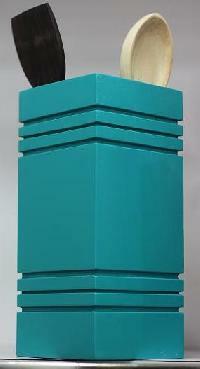 if you want more details so please contact to company. 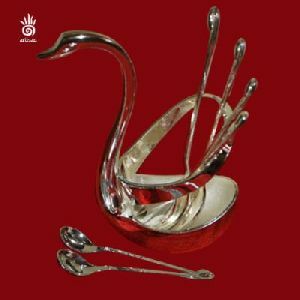 This is German silver plated duck shaped spoon stand with six spoons. 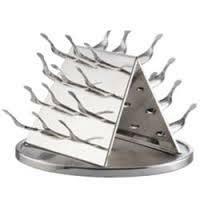 Used at the dinning table or at any guest's welcome. 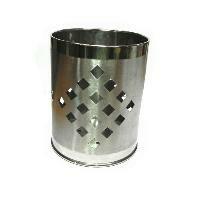 We are Dealing in Bulk Order & Corporate gifting. 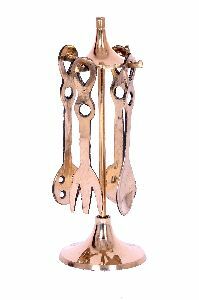 Exellent tea spoons wooden cutlery made wit designer art suitable for hotels, restro and fine dining. 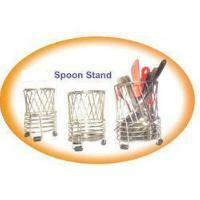 We are offering spoon stand. 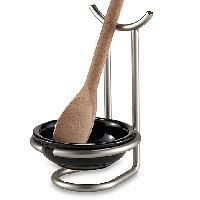 Make your kitchen attractive by high quality and colourful spoon stand. 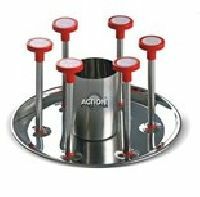 The quality of is checked by our experienced professional. At affordable price. 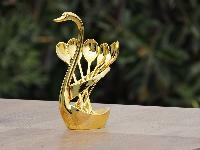 Golden colored swan shaped spoon stand for fine dining. 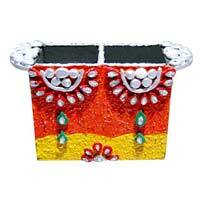 Embellish your table with these finely crafted set. 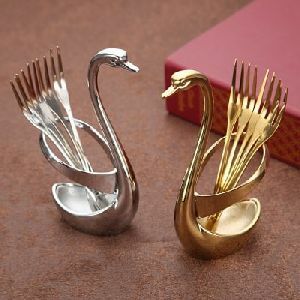 The set comes with a swan shaped spoon holder and four spoons all golden colored. 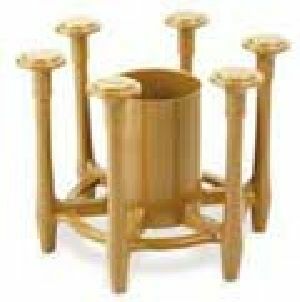 The whole set is hand crafted by skilled craftsmen. 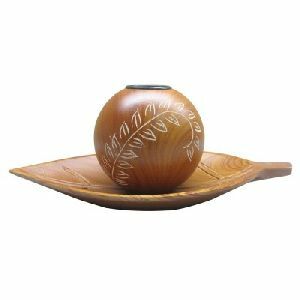 Our handmade Wood Ball Candle Holders can be seen in homes and business around the world, fusing ideas and designs from the West with the skillful workmanship of the East.These beautiful export wood products are manufactured at our factory. 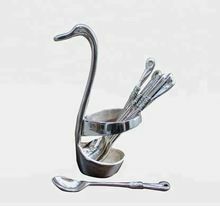 Our company is the leading manufacturer and exporter of Spoon Stands, which are superbly crafted and are at par with the latest style and trend. 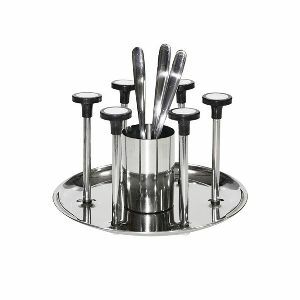 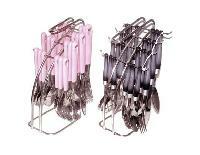 SuperDeals Spoon Stand from the house of super deals : Spoon Stand Spoon Stand, which are made from high grade quality raw materials. 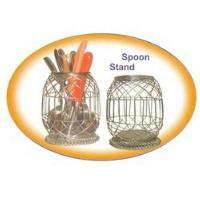 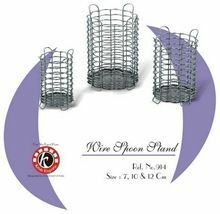 Our Spoon Stands are widely appreciated by our clients for its durability and quality. 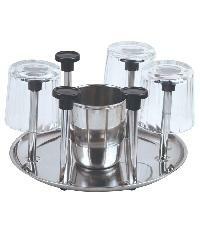 Features : Spoon stand with spoons of plastic handles & good quality cutlery. 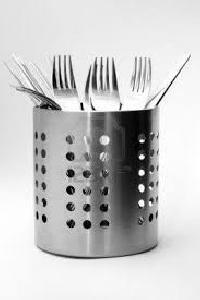 Perfect for your dinner table featuring knifes, fork & tea spoon.